When I finally learn to knit, sew, etc., this Crocheted Baby Blanket is on my sewing "bucket list." 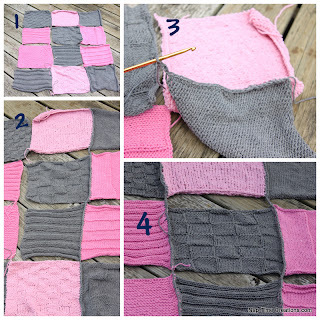 :) Thanks for sharing this great tutorial, Nap Time Creations! Have you been to the beach this summer? Collected shells while you were there? There Was a Crooked House shared this simple, fun idea for helping kids created a beach holiday keepsake.